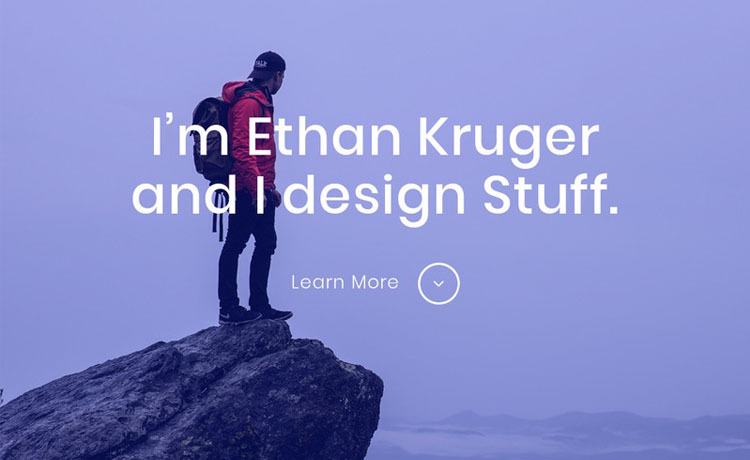 Ethan is a free Bootstrap HTML5 one-page personal portfolio website template for web developer, photographer, graphic designer. No matter what profession you have, Ethan will showcase your talent with creativity. It is a free Bootstrap HTML5 one-page personal portfolio website template for a web developer, photographer, graphic designer. Ethan has a minimal design plus a clean look. Its modern one-page layout with a full-screen background image gives it an aesthetic look. Thank you for downloading Ethan. Here are three recommended free Bootstrap HTML5 one-page personal portfolio website templates.